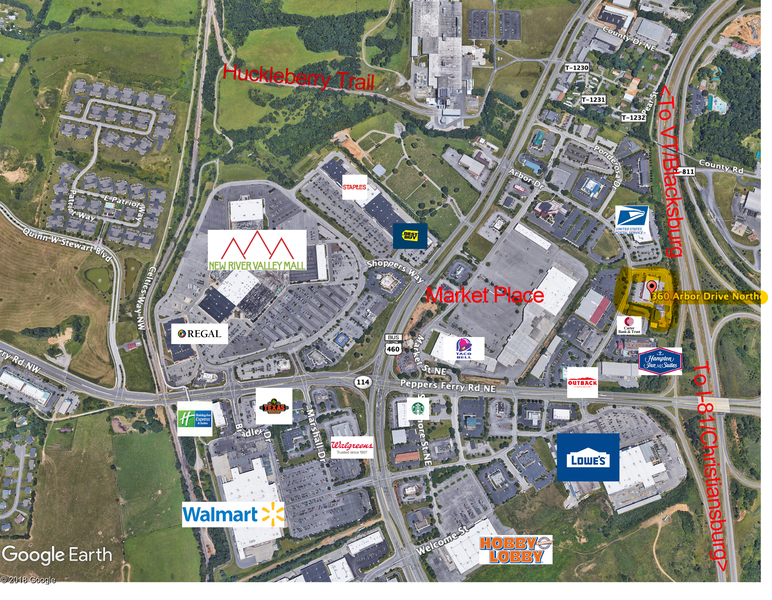 This 3.34 acre parcel is conveniently located minutes from Virginia Tech University, in the heart of the thriving commercial development at the intersection of Rt 460 and Peppers Ferry Road, the epicenter of commerce for the New River Valley. 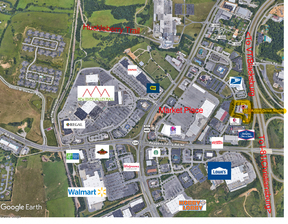 Surrounded by various uses including hotel, restaurants, entertainment, office space and shopping. All infrastructure in place including, electric, water, sewer, natural gas and storm water management.. Property is highly visible from 460 bypass. 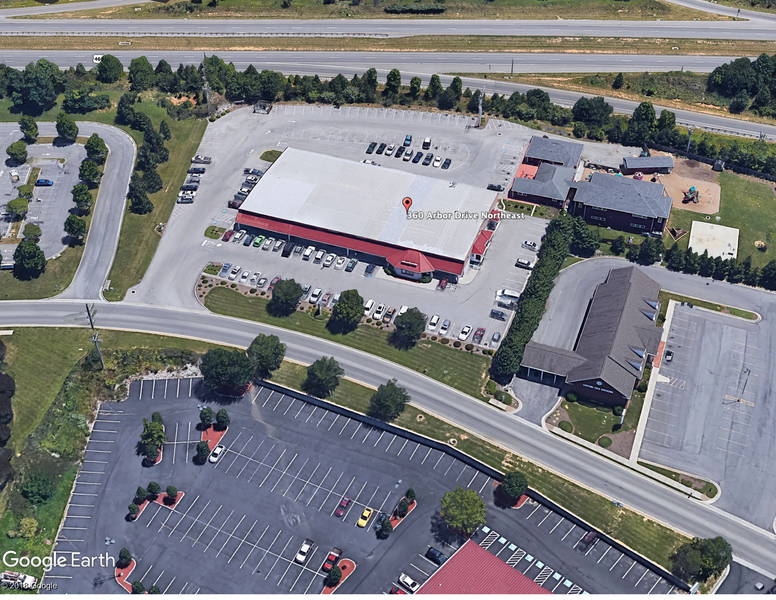 Currently used as retail investment property (20,000+ square feet) with cash flowing leases and an operating daycare (14,500 square feet) licensed for up to 200 children. Zoned B-3, General Business. Rear buildings are partially solar-powered. Highest and best uses, hotel site, restaurant, mixed use. Parcels of this size, in this location, zoning, and infrastructure are scarce at best.